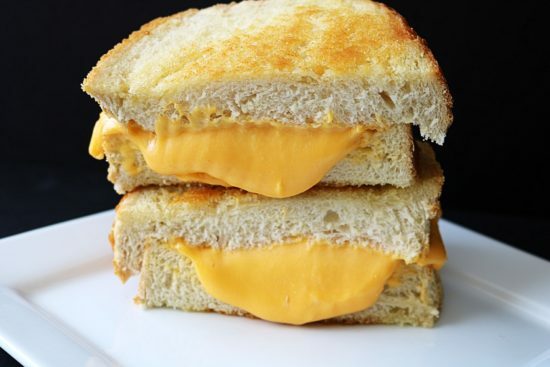 Have you noticed the growing number of grilled cheese restaurants? Different variations on the classic sandwich dominate the list of entrees on the menus of these eateries. A related trend: Gourmet versions of grilled cheese sandwiches are appearing on the menus of broader focused restaurants. All of them are taking the classic comfort food and making it even more indulgent. 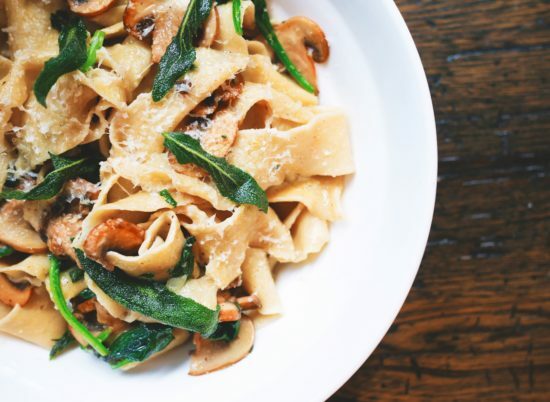 They also offer a range of twists and high-quality ingredients to set themselves apart. If you’re looking for some of the best grilled cheese on the planet, check out the offerings at these five restaurants. If you find yourself in London, check out the Melt Room, which offers 10 different variations on grilled cheese — all of them overflowing with the main ingredient and with lots of butter on the bread. The sandwiches include: pulled pork shoulder with cheddar; nutella and mascarpone; pastrami, mushroom, horseradish, red leicestershire cheese and cheddar; and a roast beets, hummus, broad beans and feta on pita. The croque monsieur is a fancy version of the grilled cheese. It features ham and gruyere, with a béchamel sauce topping. The crust provides a nice crunch, and the cheese is suitably gooey. Overall, it’s an excellent international option. If you want to take it to another level, try a croque madame. It features all of the goodness of a croque monsieur but also includes a fried egg. The Grilled Cheese Grill offers a range of gourmet variations of the classic sandwich. One tastes like jalapeño poppers while another uses brie and features roasted peppers. You can also get grilled cheeseburgers if you prefer something a bit more filling. If the idea of a Cheesy Mac and Rib Sandwich sounds good, check out The Grilled Cheese Truck. They also provide variations on the classic grilled cheese, as well as version with brie cheese, smoked meats, and more. If you’re looking for one of the best grilled cheeses on the planet with a side of indulgence, check out Serendipity 3. Usually, a grilled cheese is a cheap meal, but this one definitely isn’t. The sandwich is the most expensive version on the globe, coming in at $214. It features real gold, bread made with Dom Perignon, and high-quality cheeses. Now, you can’t have this one on a whim: The restaurant requires 48-hours’ notice, so make sure to call ahead. Ultimately, the best grilled cheese on the planet can be found almost anywhere. Restaurants love tweaking this classic sandwich, creating new variants all the time. 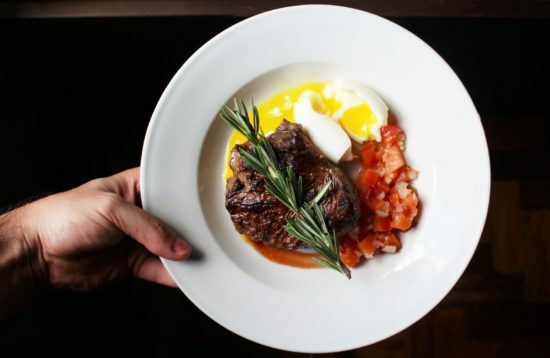 If you want to explore some options, try the restaurants above. Or check out local sandwich shops, food trucks, and restaurants and see if that location can give these a run for their money. Otherwise, don’t be afraid to try and top these yourself. Just keep in mind, finding gold to add to your sandwich may be challenging, so you might want to leave that to the pros. Readers, what are your favorite grilled cheese dishes served at restaurants? April 7 is National Beer Day — commemorating it isn’t just about drinking the beverage, but also including it in recipes. 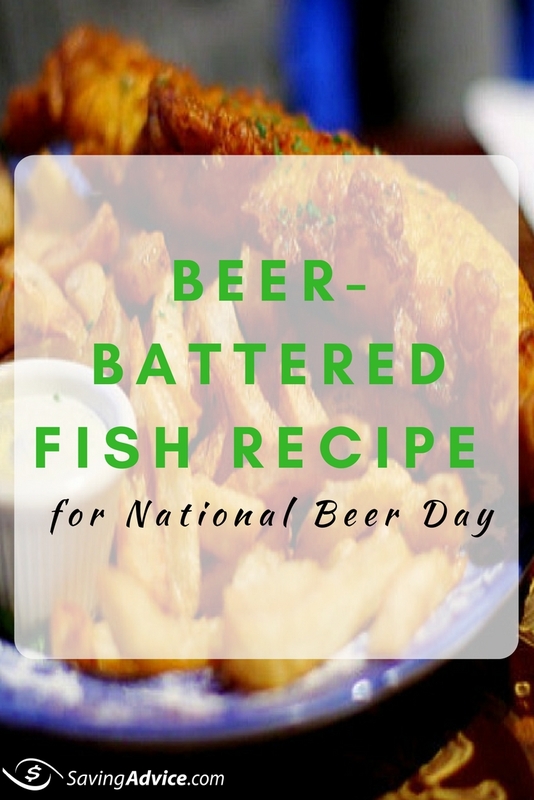 With that in mind, here comes a recipe for beer-battered fish. It’s simple to make yet delicious to taste, and great for a weeknight dinner, munch on while watching Netflix, or even during snacks for game night. Many of the ingredients can be found in your pantry so this is an affordable and easy dinner or snack to make. Another tip: Aside from cod fish fillets, you can also use other types of fish fillets like pollock, snapper or haddock. Serves eight people. 1. Heat oil in a deep fryer to 365 degrees F (185 degrees C). 2. Rinse fish fillets, pat dry, and season both sides with salt and pepper. 3. Combine flour, garlic powder, paprika, salt, and pepper into a bowl. 4. Stir egg into dry ingredients. 5. Gradually mix in one bottle of beer until a thin batter is formed. 6. Dip fish fillets into the batter. You should be able to see the fish through the batter after it has been dipped, then drop one at a time into hot oil. 7. Fry fish until both sides are golden brown. 8. Drain on paper towels, and serve warm. Note: If you don’t have a deep fryer, making beer-battered fish in a deep frying pan will do. Adjust the amount of vegetable oil, just good enough to coat the fish fillets when cooking. Optional dill tartar sauce: In a bowl, blend 3/4 cup mayonnaise with 3 tablespoons sweet pickle relish, one diced sour pickle and one tablespoon chopped dill. Season the tartar sauce with salt and pepper and serve cold. Makes about one cup. Best served with thick-cut fries on the side. Readers, please let us know what you think of this recipe after trying it out in your own kitchen. Also tell us what if anything you’re doing in honor of National Beer Day today. Would you believe that it’s National Ramen Day today? The food industry promotes a different holiday just about every day of the year in the hopes of stimulating sales — and today’s dish is a perennial favorite among those who are on even the tightest of budgets. 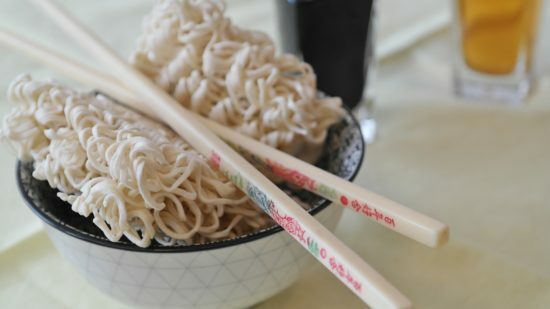 Ramen noodles deliver a lot of nutrition for the buck — make that coin, since you should be able to get more than one packet of them for a dollar. Anyway, when you’re so strapped for cash that you’re having to eat these noodles more than once a week, the dish can get boring. 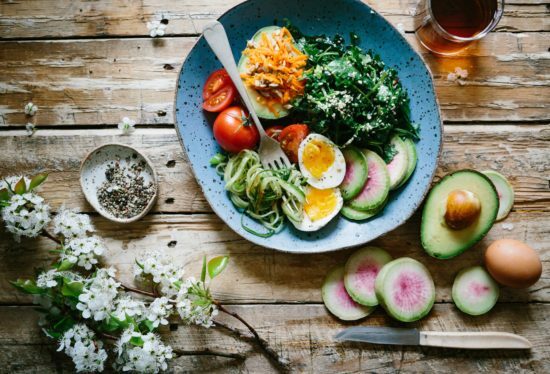 Luckily, there are plenty of things you can do to jazz up your meals with these healthy ramen recipes. Cook the noodles and discard the seasoning packet. Steam the cauliflower until tender. Combine all of the ingredients (cooked and uncooked). Serve warm. In a large skillet, heat the olive oil. Add the mushrooms, broccoli florets, garlic, parsley, salt, and pepper. Cook for five minutes, stirring regularly, until the vegetables start to get soft. Then, add chicken stock to the skillet and bring everything to a boil. Bring down to a simmer and cook for five minutes. In a small mixing bowl, combine the sriracha, brown sugar, soy sauce, and 1 tbsp of juice from the lime. Set aside. Take a medium saucepan and fill halfway with water. Cover with a lid and bring the water to a boil. Then, add ramen noodles, discarding the flavor packet, and boil the noodles until tender. Drain the noodles and set aside. In a large skillet, melt the butter and add the garlic. Saute for about one minute. Add the shrimp, saute them until they are done (about three to five minutes or until they turn opaque and pink). Remove from heat. Add the noodles to the skillet and stir. Add the sauce and stir. Top with green onion, fresh lime juice, and cilantro. Serve. All of the options above are healthy ramen recipes you can start enjoying today. Pick a favorite and give it a try tonight. Readers, what are your favorite healthy recipes? Tell us about them in the comments section beneath this post. 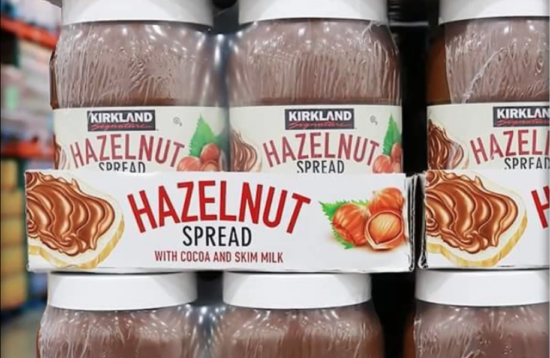 Retail warehouse giant Costco launched its own hazelnut spread in late February — and it has all of the taste of the leading brand-name product with a price per ounce that’s a little over half what the original costs. For just $7.99, you get two 35.2 ounce jars of Costco Nutella, marketed as Kirkland Hazelnut Spread. Note that if you order from Costco online, you’ll pay $9.99 per two-pack, but that’s still cheaper than the brand name Nutella. And Costco Nutella also tastes better than other off-brand hazelnut spreads (like the ones sold by Aldi, Walmart and Trader Joe’s), especially when it comes to texture. But our informal taste tests might not jibe with everyone else’s personal tastes. In fact, Nutella is known to have very loyal fans. Here’s something the loyalists may point out: Although Costco Nutella is cheaper by the ounce, you have to buy a lot more of the product than you do when you spring for the name brand. People who have limited space to store bulk-size items — or even those who want to pace themselves on how much Nutella they consume — might want to think twice about whether to buy the product in a Costco size. The largest size in the brand-name product, Nutella, gives you 33.5 ounces for an average price of $6.99. Amazon is significantly more expensive with a two-pack going for $24.56 (only you get a total of 67 ounces of it instead of the 70.4 ounces you get in Costco’s two-pack). Meanwhile, Walmart sells Nutella for $5.98 per 13-ounce jar. Where Can You Buy Costco Nutella? With prices so low, Kirkland Hazelnut Spread just might popular quickly. But before you get too excited, know that the product isn’t available everywhere yet. Check whether your local Costco carries the product by calling — or looking on the website. If it hasn’t reached your location yet, don’t worry. Eventually, Kirkland brand items are rolled out to all Costco locations. So, readers, have you had a chance to try Costco Nutella yet, and if so, what’s your verdict? Got an opinion on how other off-brand products compare to the original Nutella. Does Costco Sell Kosher Food for Hanukkah (or Any Other Occasion)?